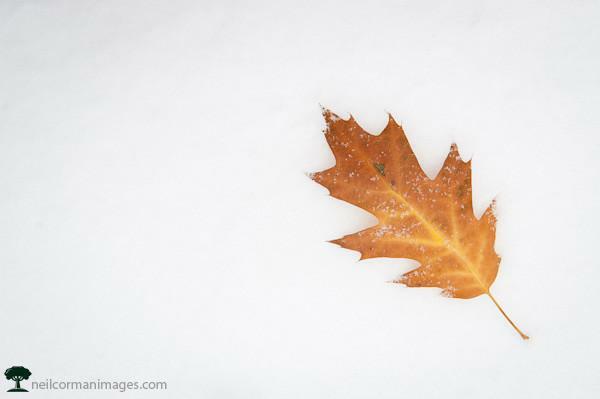 In the fall of 2009, an October snow storm brought close to a foot of snow to Denver. As this was in the middle of fall there were still plenty of leaves on the trees. A tree near the State Capitol was full of color which feel onto the fresh snow and brought the contrast of the seasons into light.